Add, modify or remove subscribers from the Notifications tab in the Dashboard. Enhance the subscriber form with disclaimer content. Links can be included for privacy policies, terms of service, etc. When disclaimers are enabled, new subscribers must click the “Agree” button to subscribe. 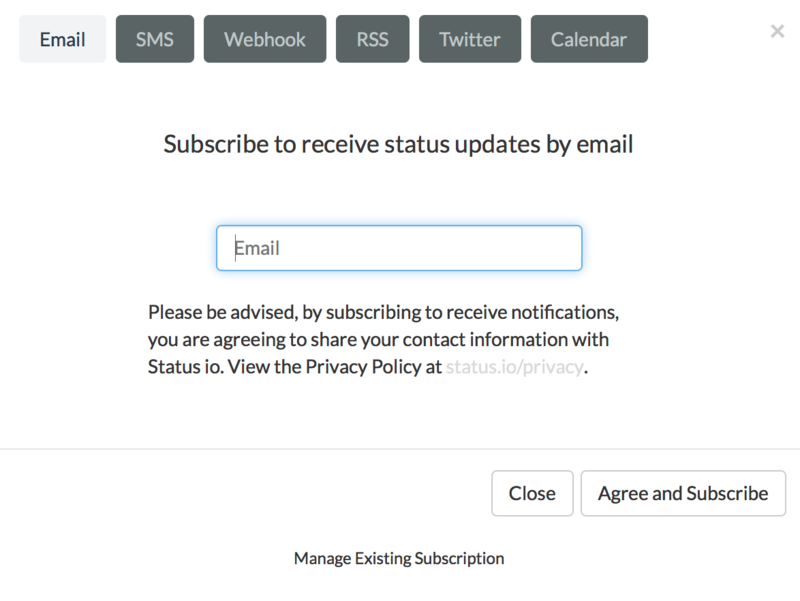 Keep track of when subscribers opt-in to receive status notifications from your status page. View the date, time, email/SMS/webhook address and IP address. 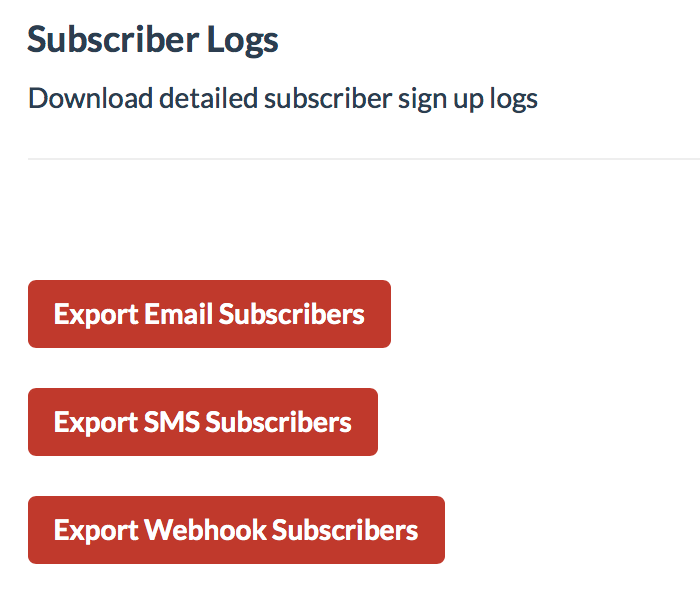 Export subscriber logs in CSV format. Note: The subscriber disclaimers and subscriber logging features are available as part of our Enhanced Compliance functionality that is included with our Plus plan.